ALL WOMEN AND MEN ARE WELCOME TO COME! 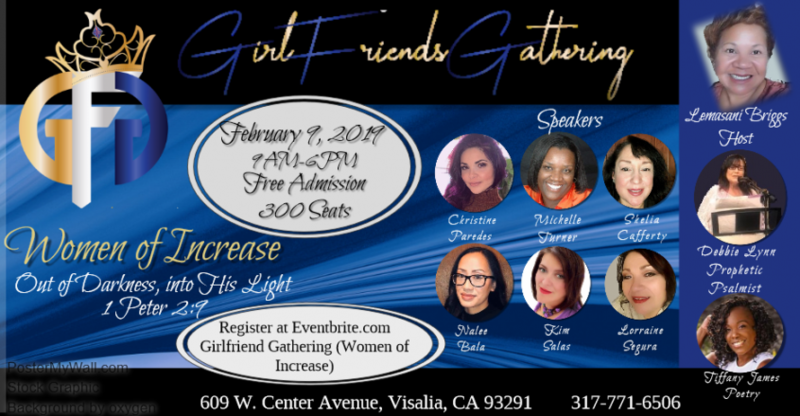 Girlfriends gatherings geared toward individuals who faced a lot of struggles and, challenges in life. Such as drugs, pain hurt, torments, unforgiveness, fear, rage, anger, disappointments, rejections, and incarceration. Our panels this year consist of women who came out of darkness into God’s glorious light. We are excited to share the love of God and how it expresse itself on a person. Join us and other children of God to experience a message about love and redemption.